Afropop Night has taken flight! We will have our next concert at The Lily Pad (for the first time) on Sept 17th! 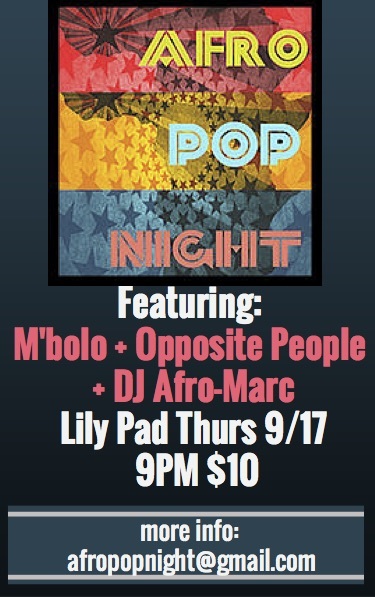 Afropop Night is a series of concerts (organized by Christiana Athena with the support of Marc Amigone) featuring Boston's local African music and dance community, plus national and international Afropop bands. It is a night for excellent music, unity, dancing & positivity. Come share the love and support the artists and music!